Making memories with your children is one of the most important things you can do during the Christmas season. 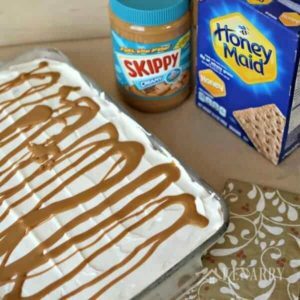 Today, I’m sharing two fun family holiday ideas using common ingredients you probably already have in your kitchen cupboard — Skippy Peanut Butter and Honey Maid Graham Crackers. (If you don’t, Walmart has a coupon right now to save 50 cents off Honey Maid Graham Crackers.) The first of the family holiday ideas is a delicious recipe for a frozen Peanut Butter Fudge Cake with a graham cracker crust. 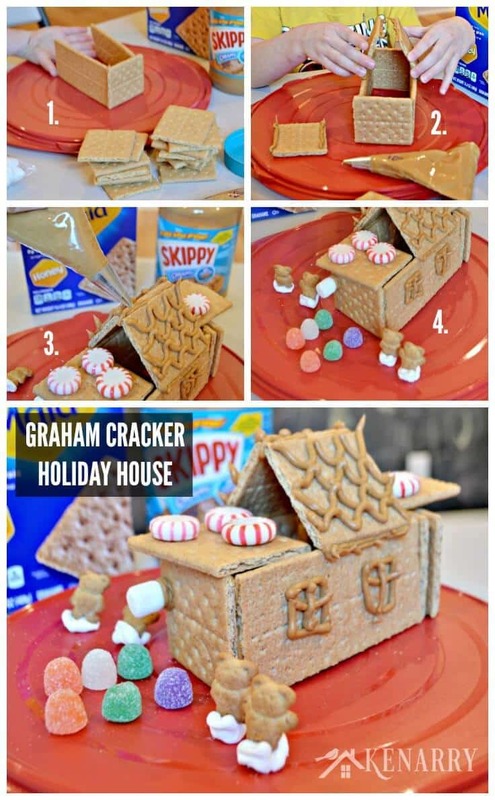 Then I’ll show you how to make Peanut Butter and Graham Cracker Houses using the leftovers. Some of my best memories as a child involve baking cookies and holiday desserts with my parents at Christmas time. 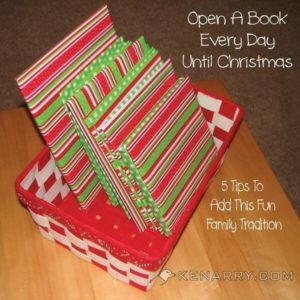 Now that I have children of my own, I’ve been trying to create my own family holiday ideas to make special memories with them. 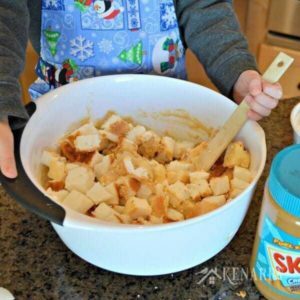 I don’t know about you, but when it comes to holiday baking with my kids, I especially love easy baking ideas. My sons are only 4 years old and 2 years old, so I get a little nervous about using the oven when they’re involved. Thankfully the two holiday recipes I’m sharing today do not involve actually cooking anything. The Peanut Butter Fudge Cake and Graham Cracker Houses just involve working together as a family to assemble them. We created the frozen Peanut Butter Fudge Cake first, so we could use the leftover graham crackers and peanut butter to make fun holiday gingerbread houses the next day. Both of these family holiday ideas start with a quick trip to Walmart to pick up the essentials: Honey Maid Graham Crackers, Skippy Peanut Butter, candy and goodies to decorate the holiday houses plus all the other ingredients for Peanut Butter Fudge Cake, if you don’t already have them on hand. The Peanut Butter Fudge Cake begins with making a Honey Maid Graham Cracker crust. Then you whip together pudding, Skippy Peanut Butter, whipped topping and cubed angel food cake. Cover it with a decadent layer of hot fudge. 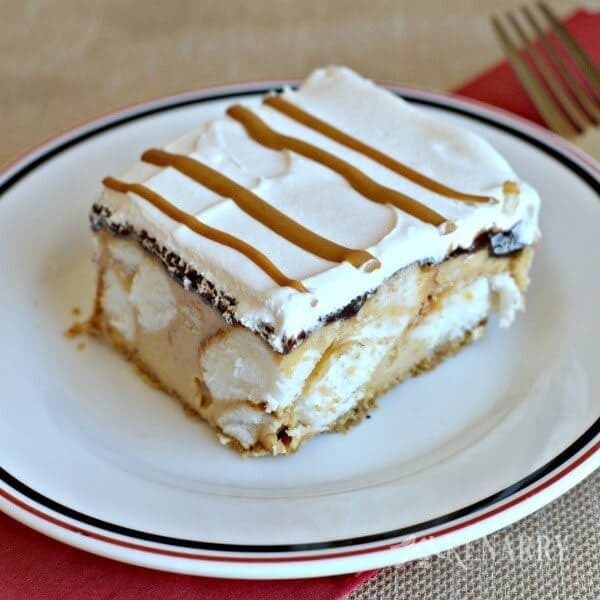 Then you top it off with a final layer of whipped topping and drizzle the whole thing with melted peanut butter. The angel food cake doesn’t absorb the thick Skippy Peanut Butter filling, so you end up with a beautiful marbled texture. My family and friends raved about how delicious this Peanut Butter Fudge Cake is! Crush Honey Maid Graham Crackers in a blender or food processor until they're fine. Mix with melted butter or margarine. Spread across the bottom of a lightly greased 9 x 13 baking dish and press down to form a crust. 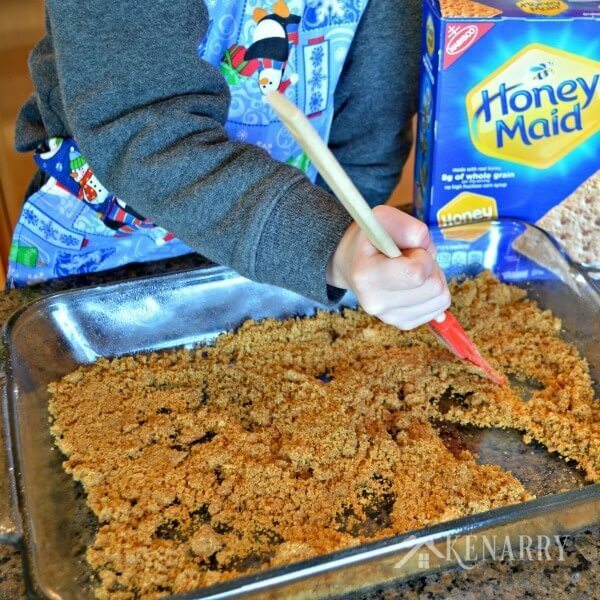 Freeze the Honey Maid Graham Cracker crust for 20-30 minutes while you prepare the cake filling. Whisk together instant vanilla pudding, milk and 1 cup of the whipped topping (save the remaining whipped topping for later). 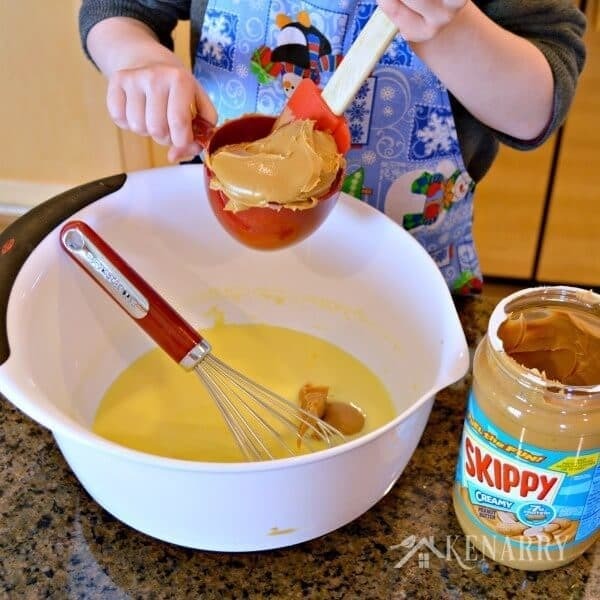 Add 1 cup of Skippy Peanut Butter and mix until smooth. Cut the angel food cake into cubes and gently fold into the Skippy Peanut Butter mixture. 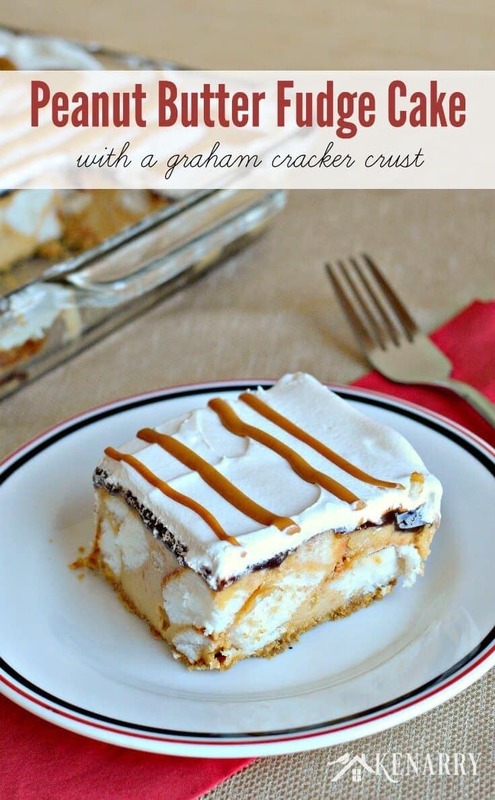 Spread the cake and peanut butter filling across the Honey Maid Graham Cracker crust. Remove the lid from the hot fudge jar and microwave on high for 45 seconds. 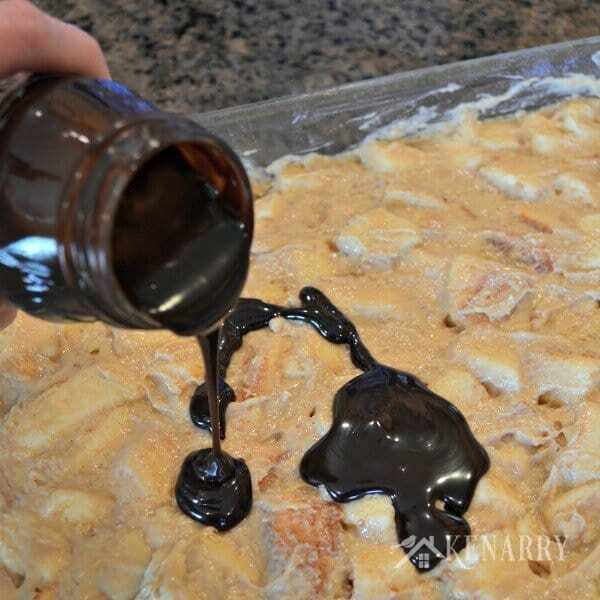 Pour the hot fudge across the top of the cake and spread to distribute evenly. Freeze the Peanut Butter Fudge Cake for 1-2 hours so the fudge hardens. Spread the remaining whipped topping over the fudge layer. Microwave 1/2 cup of Skippy Peanut Butter for 30 seconds. Drizzle the melted Skippy Peanut Butter over the top of the cake. Freeze the Peanut Butter Fudge Cake overnight. Before serving, let the cake sit on the counter for 10-15 minutes so it's easier to cut. Share with your family and enjoy! 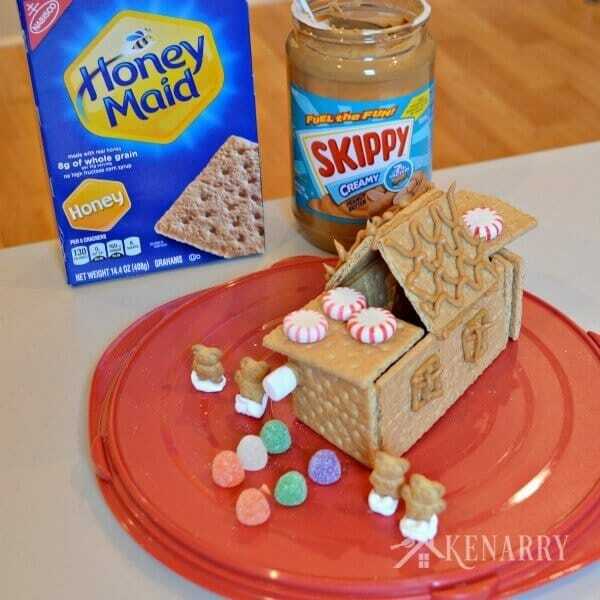 Next, the boys and I used the leftover Honey Maid Graham Crackers and Skippy Peanut Butter to create holiday houses. 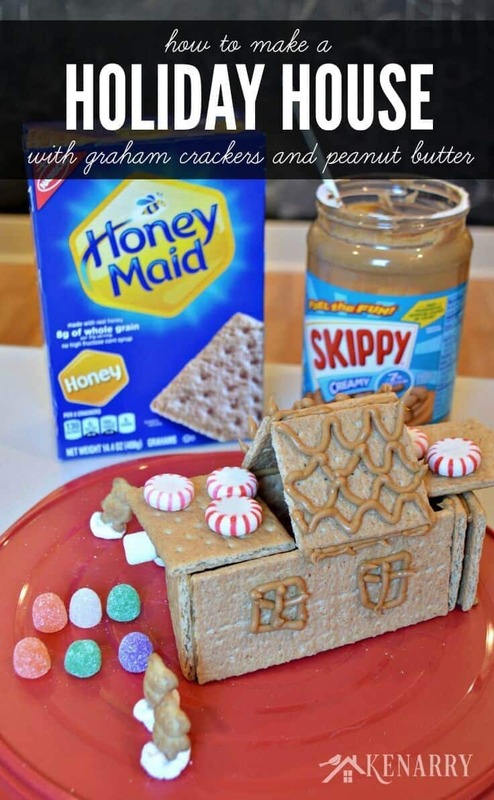 I’ve often seen costly gingerbread house kits at the store, but making peanut butter and graham cracker houses is so easy and inexpensive. It’s really a much better way to go especially when the kids are as young as mine and don’t have as much patience for assembling a fancy gingerbread house. 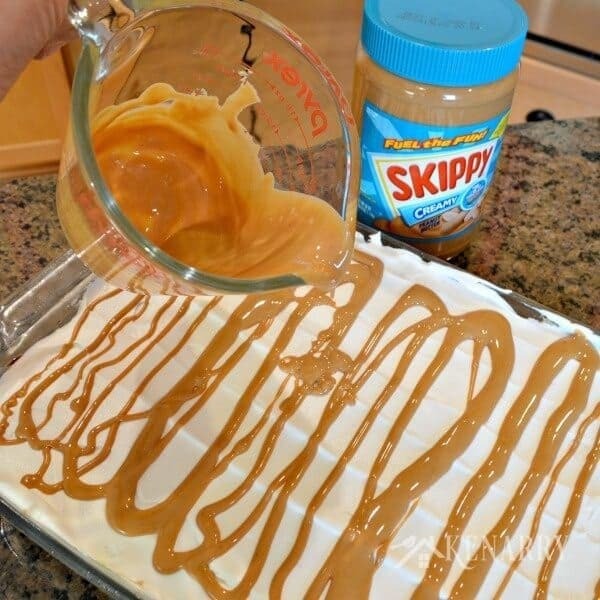 Put a cake decorating tip in the bottom of a cake decorating bag and fill it with Skippy Peanut Butter. Use this as your “glue” to hold the house together and also to add decorative touches. You can use a plastic knife instead, but it’s less messy if you use a cake decorating bag. Break the Honey Maid Graham Crackers into squares and small pieces ahead of time. Have the candy, cookies and other decorative goodies set out and ready to go too. This way everything is ready to assemble before the kids sit down to create their peanut butter and graham cracker houses. If you’re involving a child 2 and under, don’t expect too much. They love eating the holiday house ingredients more than assembling! 1. Create the foundation for the house. Squeeze the Skippy Peanut Butter filled decorating bag along the side edges of four Honey Maid Graham Crackers. Put the corners together to create a square, or in my four year old son’s case, a rectangle box. It may help to also put peanut butter along the bottom edges of the graham crackers to help the foundation stick to the surface of the plate. 2. Raise the roof. Again put peanut butter along the edges of two graham crackers and carefully put them together to form the roof. My little graham cracker architect also decided to put a flat roof on the front and back of his rectangular graham cracker house. There are really no rules as long as it stays up! 3. 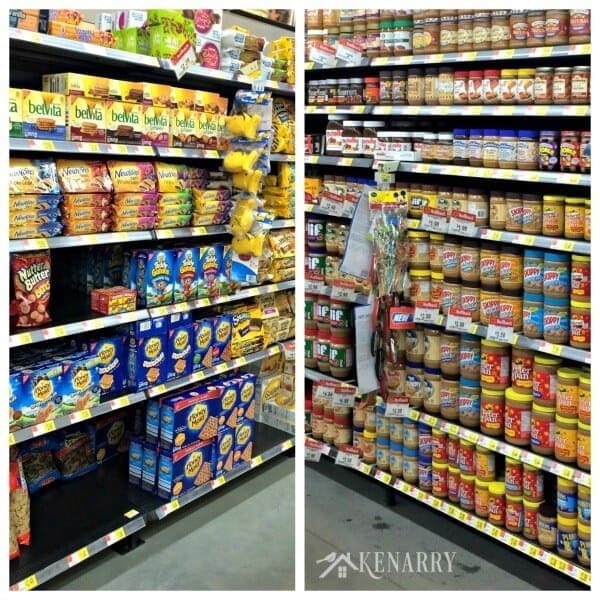 Decorate with Skippy Peanut Butter. 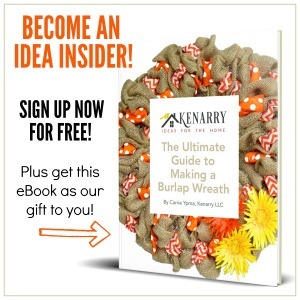 Use the decorating bag to add creative touches to the graham cracker house like shingles, windows, doors, etc. 4. Add candy, cookies, marshmallows and more! 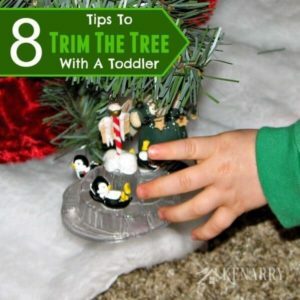 Now’s the fun part – have your child decorate however he or she wants! My son decided to add four Teddy Grahams, one to represent each of us. We cut slits into small marshmallows to help the Teddy Grahams stand. We used peanut butter to stick a marshmallow to the side as a door knob. My son also insisted there needed to be a gum drop path leading up to the door and peppermint shingles. My boys loved making these family holiday ideas together and could not wait to show Kent their masterpieces when he got home from work that night. We let the graham cracker house sit on the counter for days until finally my four year old decided he needed to eat it as a snack one afternoon. Since peanut butter and graham crackers are household staples we already have the ingredients on hand to replace the holiday house if we want to make another one before Christmas! For more creative inspiration with graham crackers, you can follow Honey Maid on Instagram. What special family holiday ideas are doing this year to make memories with your children? Please comment below and share. We always love to hear the different ways people celebrate. You can also follow our Christmas Ideas Board on Pinterest for more family holiday ideas! This looks awesome Carrie! I’m a huge fan of anything that has peanut butter in it! I love that both of these ideas use items most people have on hand already. Plus it looks like so much fun to do with the kids! Thanks, Carrie! You will love this Peanut Butter Fudge Cake. 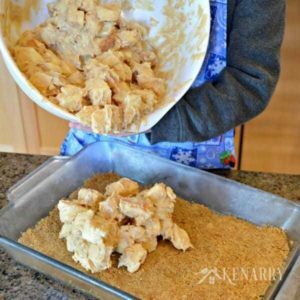 It’s an easy one to make with the kids AND delicious too. That’s a win/win! Me too, Ginnie! Me too! Have a wonderful weekend. Thanks for stopping by! You had me at ‘Peanut Butter Fudge Cake’. Sounds perfectly wonderful! Visiting from Pretty Pintastic Party! Pinned! Thanks Kim! So glad you came by from to visit and check out the cake! Have a great weekend! It looks awesome plus a fun and tasty activity with kids. I’m going to try it with my daughter. Thanks for sharing. Thanks! I hope you and your daughter have a great time making graham cracker houses! 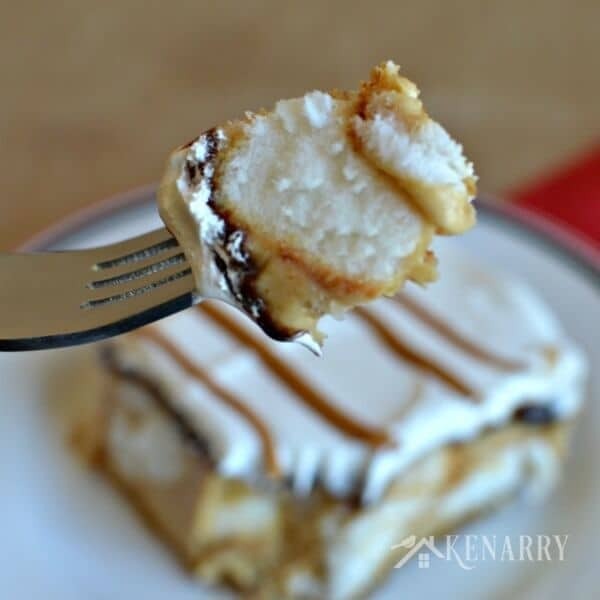 This is an easy cake to make! I love the recipe and it looks like so much fun to make. My sister, Dad, son and daughter would go nuts over this recipe. Thanks for sharing. Thanks, Julie! I hope the whole clan loves it. It’s super easy to make – and keeps well in the freezer. Holy Yum!!!!! Thank you for sharing at the Ginger Snaps Link Party!! It’s super yummy! So glad you came by from the Ginger Snaps Link Party to check out the recipe! Your cake looks delicious! 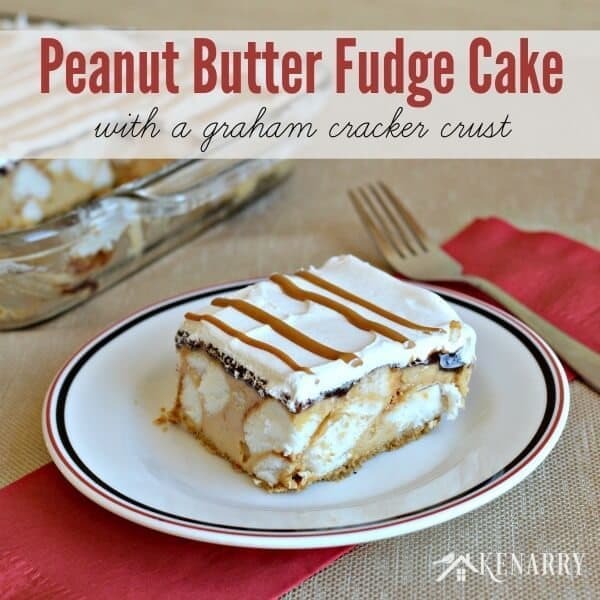 I love anything peanut butter, and this sounds so so tasty!! YUM!! 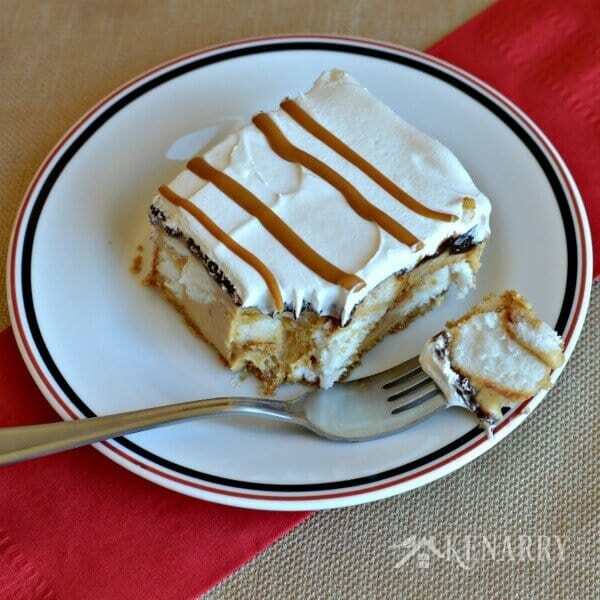 This cake looks delicious no bake cake! Thanks so much for linking to the This Is How We Roll Thursday link party! I can’t wait to see what you share next week! Thanks Karren! It’s actually not as rich as you’d think. I think the angel food cake helps to cut the sweetness. Thank you so much for visiting and pinning! Yum. This looks delicious! Thanks for sharing with Turn it Up Tuesday. So glad you came by to check out the recipe, April. Hope you had a great weekend! What a great looking cake! Who doesn’t love peanut butter and chocolate? You are being featured this week, over at Simple Supper Tuesday. We hope you can join us again this week, starting Monday night at 8pm EST. Hooray! Hooray! Hooray! Thanks for making my night, Cindy! Hope you had a wonderful weekend – and THANK YOU for the feature! I enjoyed reading this post! That cake looks so delicious! Thanks for sharing at Wordless Wednesday. Don’t forget to stop by again this week! Looks so yummy! Thanks for sharing at the party @DearCreatives Hope to see you again this week! Thanks, Theresa! We’re so glad you came by to check out the Peanut Butter Fudge Cake recipe. Hi Kat, you can make this several days in advance. When I initially made it, I served it the next day. We had leftovers, though which were delicious the entire next week. Thanks for asking!